Merry Christmas, dear readers! Here's how my mani looks like this year. Not very Christmassy per se, but liking it anyway. :-) The gold in my hands is Essence A Piece Of Forever from the Twilight Breaking Dawn Part 2 collection. I was only swatching it, but ended up wearing it after liking it so much with the improvised line work, for which I used my trusty striper Ink from China Glaze. Since I'm not confident enough to make such detailed work with my non-dominant hand, I kept my right hand plain black. But it actually looks nicer like this, more balanced I believe. Beautiful, so clean! Happy Holidays! Very pretty. Somehow intro for Poirot series is playing back in my mind. Thanks! :) I wasn't familiar with Poirot, but I've looked up the intro, which is pretty cool! I love how the graphical Art Deco elements are brought to live with movement, never thought of doing that! Looks so much like my favorite ARTDECO NOTD! nice!! improvised linework? 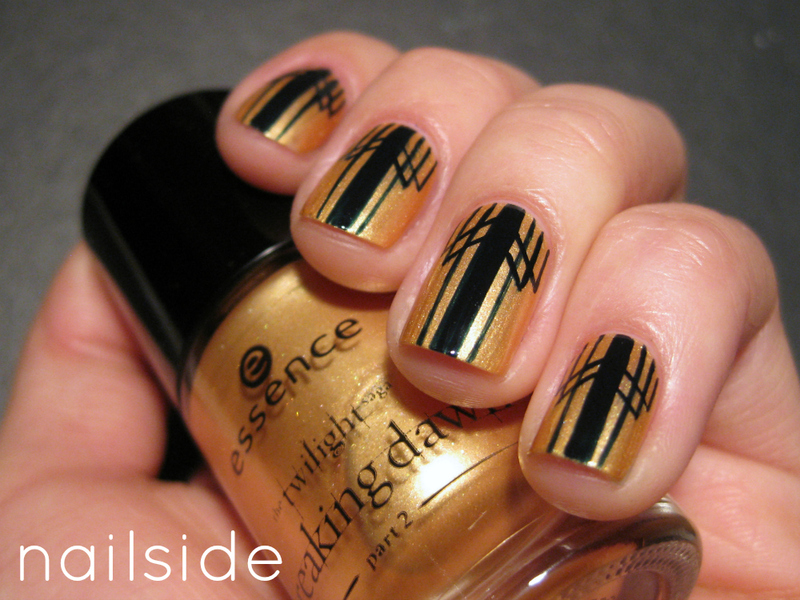 I wish I was that good xD I think that gold-tone really suits the art deco style. 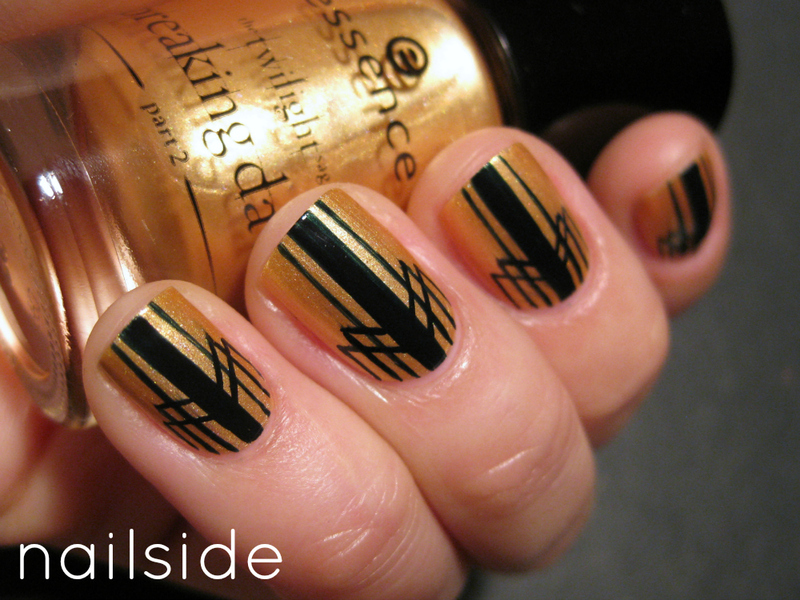 Art Deco is of my favourite design eras (and quite often featured on my blog :D ) - this is perfect! I don't know about your dominant hand, but the work you do with your dominant one is jaw-dropping. Art Deco certainly is my favorite era too, along with Art Nouveau <3 Thanks for your sweet comment! Wow I am totally in love with it! Thanks so much for your kind words and have a merry Christmas! I don't know how to tell it in english so i tell it in french : je trouve ça magnifique, quelle précision, j'adore. This is possibly my favourite nail art I've seen! So amazing! It's a beautiful mani with those fine lines. I love it, do you have a tutorial ;-)? Your nails look absolutely amazing! I love gold and blacks! So lovely! This was awesome! Oh I am in LOVE! This looks fabulous. I think it would work well with any number of color combinations.